It is truly one of the most exciting experiences that you will have in your life if you will be blessed to take a Pilgrimage in the land. It is truly one of the most exciting experiences that you will have in your life if you will be blessed to take a Pilgrimage in the land.After reading the Holy Scriptures for so many years and to be able to see it with your own eyes will be a life changing experience. 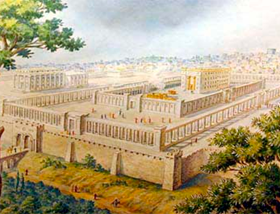 We are a Hebraic Roots ministry that structures all of our pilgrimages after biblical, historical and archeological evidence and not after manmade traditions of churches. People who have come on pilgrimages with us have said that it is like, night and day, compared to the normal instituted tours that they went on previously with their churches. Our guides are qualified licensed archaeologists that have specialized in New Testament studies and are the top in Israel. We will not bring you to any Catholic Churches or tourist traps but only to authentic places that can be proven from scripture. 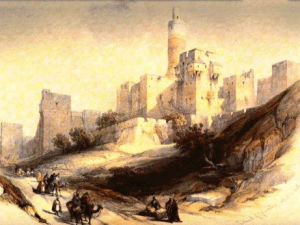 Our pilgrimages are very unique, and you can even participate in a real archaeological dig for a day, and eating your breakfast in a real Bedouin tent, truly experiencing how our fore-fathers like Abraham lived. 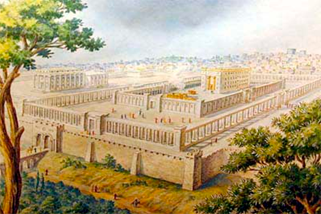 We will visit sights, such as Beer-Sheva(The well of the oath), where Abraham started the covenant with Yahweh. You will see the very well he dug with his hands. We will read the scriptures at each place we stop, and show from the bible, how it is meaningful to your life today. We are also one of the only pilgrimages in the world that will take you to ancient Gomorrah, where the whole city still lies in ashes until today and you can see the outline of a Sphinx, and ziggurats, and buildings, and even find sulfur balls, which are still there today that Yahweh rained down from heaven. You will also get to see traditional places like Jerusalem, Caesarea and Mount Carmel where Elijah fought the priests of Baal, but also very unique places like Gamla, where ancient Israel had its last stand in the north of the country against the Romans. Also, we can see such special places as Nazareth, Capernaum, and take a special boat ride on the Sea of Galilee, the very water that our Savior walked on. We will make you understand the bible from a Hebraic background and teach you the absolutely awesome Hebraic roots insights to the bible and how to get away from the western Greek mindset that is in society today. The bible was written in idioms and you must be able to understand the culture of ancient Israel to truly understand more deeply our Heavenly Father’s awesome word. I am sure that you will not find a more spiritual, authentic, pilgrimage anywhere else! We are offering also the absolute best price possible. We have been hosting pilgrimages to Israel for almost 20 years now and I know exactly what it cost to organize a pilgrimage, and I am sad to say that most ministries and tour companies are bringing people on a pilferage instead of a pilgrimage. Check the internet and you will see that most one week tours advertised to Israel cost anywhere from $4000 dollars up until $6000 and more with all kinds of hidden costs. A 7/8 day pilgrimage with us would run on average for a group of 25-35 people about $1199 per person without airfare and $2699 a person with airfare from JFK New York. Our basic pilgrimage will take you to the North, South, East and West of the country, but we can also tailor make a particular pilgrimage for your group needs. We will cater to groups of 3-5, or 50-100 it makes no difference. Scripture tells us that Israel being a nation again is the sign of the beginning of the last days, and we are living in the most exciting times to be a part of it. Come and share what Yahweh is doing in His land Israel in these end times. We have just added new pilgrimages to the 7 churches of Revelation and also to eastern turkey to Mesopotamia to see Haran where Abraham was born and well as what they believe to be Noah’s ark in Mount Ararat and much much more. For more information and to book a pilgrimage with Israelway, please fill out the form below and send to ? Let an Israel Way Program Advisor assist you.